Our easiest, most flexible HL7 solution yet! HermeTech International is dedicated to the notion that HL7 messaging and creating HL7 interfaces does not have to be as complex and painful a process as its reputation would suggest. As a result we have focused all of our efforts toward producing a suite of products which are designed with one primary objective: To make the task of developing real-world HL7 interfaces as painless, quick, simple and affordable as possible. Our main goal and driving philosophy is to help you accomplish your HL7 mission in as few steps and with as few moving parts as possible. We start by approaching the problem differently from other HL7 software companies by breaking the HL7 interface processes up into their individual functional components. For example, consider HL7 message transport over TCP/IP. 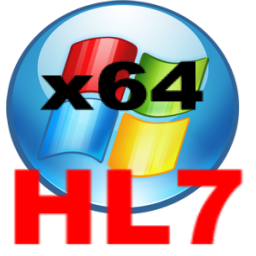 If your mission in this area is only to consume HL7 messages that are being sent TO you and have no need to produce and send any outbound HL7 messages then why on earth should you be forced to pay for that outbound HL7 functionality? To learn more about the HermeTech family of products click here. All of our products are free to download and try	out. The UltraPort MS SQL Schema Engine for HL7is HermeTech's next generation HL7 database product. The UltraPort HL7 TCP/IP Listener for receiving HL7 messages over TCP/IP and the UltraPort HL7 TCP/IP Router for sending HL7 messages over TCP/IP. The UltraPort HL7 Postmaster is the ultimate production level HL7 jack-of-all-trades. And finally our UltraPort HL7 Notepad the end-user WYSIWYG HL7 message editor/viewer which is so much more. Do you need to send or receive HL7 messages over TCP/IP? Our set of HL7 'Listener' and 'Router' systems can handle all of your HL7 message data transport needs. They can be installed and configured in minutes. Use them together as an end-to-end solution, or separately with other third-party HL7 TCP/IP products. We have customers who transport a million HL7 messages per day at a single installation using just these reliable, low cost HL7 solutions. An HL7 software developer's toolkit designed to give programmers the ability to integrate HL7 functionality into their existing HL7 applications cheaply, quickly and reliably. These components are unique in the market because the cost of redistribution is so low. Our newest suite of software components the EasyHL7 Code Objects for Visual Studio .Net can streamline HL7 software development in .Net immensely. The easy way to get HL7 message data into and out of your RDBMS database. Supports both Microsoft SQL Server and MySQL! Installation and configuration takes literally minutes and you're on your way. Have you ever just wished that your clients could use their old HL7 interface to just send you HL7 messages over the internet? Or over the internet from you to them? Does your client send you HL7 messages that you don't want? Does your application produce HL7 messages which your client doesn't want? Did you ever need to 'split' 1 HL7 feed into many? Or consolidate many HL7 feeds into 1? The UltraPort HL7 Postmaster has the answer! Distribute HL7 messages intelligently to varied destinations! Filter out unwanted messages, deliver messages to multiple destination folders, transform messages and much more. The HL7 Postmaster software is incredibly fast, versatile, and easy to install and configure. When you need just the right HL7 tool for the job. An HL7 utility program which does so much more than the name implies. A Notepad for graphically viewing and editing HL7 messages 3 different ways, an HL7 message search engine, a file splitting / consolidation engine, an integrated Hex editor, a built-in MS SQL Query engine to integrate with our award winning UltraPort MS SQL Database Schema Engine and much more! Please don't hesitate to drop us an email if you have any comments or would like to talk about our products, future projects and product releases or if you need help / advice about HL7 Interfacing. Or feel free to contact us by visiting our contacts page.